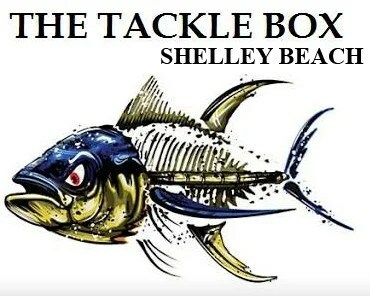 The Tackle Box in Shelley Beach is very fast becoming the go-to shop for anglers on the KZN South Coast. New owners Craig and Sharon have injected a healthy dose of enthusiasm and energy – and a huge increase in range and stock too. Covering the ocean from the rocks to the reefs, The Tackle Box also caters for bass and other freshwater fishing habits. With accessories for the whole family. All kinds of fishing and protective wear and fishing survival gear. And bait. Fresh and varied. Their location is tops – right at the Shelley Beach Skiboat base turn off. Plenty parking. The team also offer charters and fishing holidays. They have a choice of boats in Shelley Beach and fish the area very well. Fishing holidays to Vilankulos and other far away destinations are easily arranged by chatting to Craig.